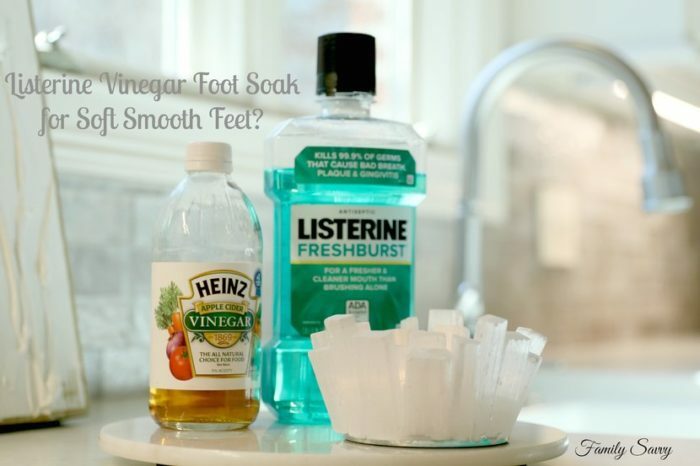 Listerine Vinegar Foot Soak For Soft, Smooth Feet? A dermatologist shares expert advice on the Listerine Vinegar Foot Soak for soft, smooth feet and helps separate expectations vs reality. 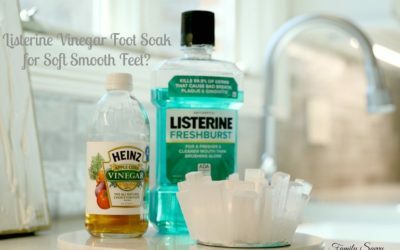 Does the Listerine vinegar foot soak recipe REALLY remove bacteria, heal Athlete’s foot, soften feet, and remove dry, dead skin? A dermatologist weighs in……..
What exactly IS the Listerine Vinegar foot soak? Ideal to help with those crusty feet! Get it right ladies!! …the BEST way to get your feet ready for summer. Sounds crazy but it works! Mix 1/4c Listerine, 1/4c vinegar and 1/2c of warm water. Soak feet for 10 minutes–the dead skin will practically wipe off! This “recipe” was forwarded and reposted literally millions of times! From Facebook to Pinterest to Instagram and more! The viral nature of the post left questions if the minds of many. First, I’ll share how Dr. Jo Herzog, my longtime friend and dermatologist, feels about the foot soak. Second, I’ll share my experience and the comments from many readers who’ve weighed in. I have been asked to comment on a widely circulating Facebook post about an amazing foot soak comprised of a mixture of listerine, vinegar and water. The claim is that this soak causes dead skin to “peel off.” So, is this truth or hype? First, I’ll address the question, “Does a listerine and vinegar foot soak remove dry dead skin? If you have dry feet, this soak certainly couldn’t hurt, and it might even help. Your feet will surely be clean and tingly when you are done, especially if you use cool mint listerine. The most you can lose is ten minutes and a few cents. Patients also ask, “What happens when you soak your feet in vinegar? Vinegar is acetic acid, and in a high enough concentration, it can cause irritation. Acetic acid contributes to cavity formation by eroding enamel from teeth. This might lead some to think that in low concentrations it can work to soften the skin and make it easier to exfoliate. In addition to acidic properties, vinegar can act as an antibacterial agent. There have been several things written supporting the notion that vinegar and water soaks can be used to soften dry cracked heals. Some even recommend this for mild athlete’s foot. As I said earlier, it is worth a try if you have the time and the ingredients readily on hand. There certainly is nothing wrong with or worrisome about soaking your feet in something safe enough to put in your mouth, so why not try this and see for yourself. If nothing else, the soak could help with smelly feet, which I write about in this post. What is the official “recipe” for Listerine Vinegar Foot Soak? The original recipe calls for 1/2 cup each of vinegar and Listerine with 1 cup of water. My proportions are as follows. How long do you soak your feet in listerine and vinegar? For quick foot soaks, I use an aluminum pan, but for DIY “pampering,” I invested in this Brookstone Foot Spa, and I feel like I have a bona fide pedicure soak any time I want one. Water can be heated to several temps, aqua jets can be turned on or off, and foot massagers and a pumice stone are placed inside also. Below is a photo of how I do my foot soak with the foot spa. NOTE: I recommend only original or clear Listerine, as some folks’ feet or toenails turn green or blue (temporarily) with the mint versions. Although I’ve used the green with no issues, it is safer to use the original. IF your feet do discolor, Dr. Jo says it will go away within a matter of days in most cases. Note: When using the Listerine Vinegar solution in the foot spa, I use the heat function and soak for 20 minutes or so. I do NOT use the aqua jets, as it foams and bubbles. I only use aqua jets with plain water and Epsom or magnesium salts.. Following the foot soak, I exfoliate using the listerine vinegar sugar scrub for feet (get the recipe here). If you don’t want to make your own scrub, I link to my fave store bought scrub below. My take on the listerine vinegar soak? The claims are partially true. This foot soak by itself won’t cause dry dead skin to “peel off.” But done along with a few other DIY procedures it absolutely can and will remove dry skin and leave feet feeling soft and supple. Disclaimer: If you have diabetes or foot conditions that require medical supervision, always consult with a doctor before self treatment. For removing dry, dead skin, one of the best products I’ve found is Baby Foot. I blogged about my husband’s experience in Blown Away By Baby Foot. Baby Foot uses fruit acids to penetrate into the skin. It is basically a chemical peel for feet, and it really works. For maintaing soft feet after a good peel or pedicure, I routinely practice my version of the Best Ever DIY Pedicure. The products that I use are inexpensive and really work if used consistently. The listerine vinegar sugar scrub for feet is a listerine vinegar combo that works to keep feet smooth and soft. It is inexpensive and easy way to keep feet exfoliated. NOTE: if soft silky HANDS are also a concern, I share my secret $3 or less DIY solution in this post. For easy scrubbing of feet without bending over.….the the FootMate System is another “treat for feet” that I put directly on my shower floor. Used daily with the rejuvenating gel, it cleans, massages, and softens feet (without my ever having to bend over:-). It tends to “tickle” the feet at first and takes some getting used to, but it is refreshing once you learn to tolerate it. For stubborn callouses, we pull out the big gun (pictured at right)~the AmopÃ© Pedi Perfect Electronic Pedicure Foot File. I LOVE this and use it weekly to smooth rough heels and the tops of my big toes (which get very dry for some reason). So the bottom line on soft, smooth feet is this: there is no “magic pill” that will do it all. The key is using good products, consistently, and establishing a good foot care routine. The video shows the system and the products that I am using now. All of the products that I use (with a few more faves) are below. I tried this today but it made my toenails green? Yes it softened my feet to get rid of callouses but now how do I get rid of the green? Jamie, I always specify to use original yellow listerine. We know that the blue and green stain your feet and nails. As for the reader’s green staining; it will wear off. She can try soaking in dilute bleach bath. One tsp bleach per gallon water. Susan, let me know if you try this and what works. Keep us posted! SO AFTER READING YOUR BLOG AND TAKE ON THE LISTERINE FOOT SOAK AND DECIDED TO GIVE IT A TRY. I USED THE COLORED (COOL MINT) AND DID EXACTLY AS YOU WROTE AND I NOW HAVE GREEN FEET. SOME CAME OFF WITH A BRUSH BUT EVEN THE NAIL BEDS ARE COLORED. IM GLAD THAT I DIDN’T TRY THIS CLOSER TO OUR TRIP BECAUSE THERE IS NO WAY I COULD WEAR SANDALS. ANY SUGGESTIONS? Frank, that is exciting to hear! I am glad that you got exceptional results. Thanks for sharing with the rest of us!!!! This really does work. Used 1-1-2 & soaked feet for about 30 minutes. My feet did not look blue but I was pretty amazed when I dried my first foot and dead skin began to just fluff off. I ran my fingernails down the arch of my foot and dead skin was caked under my nails. I switched to a letter opener and it just fell off into the towel. Very impressive results!! Thanks for your interesting post. I am waiting for the next one. Hi Emilie, I use regular white vinegar! what type of vinegar do you use? Hi Sheryl! Thanks so much for sharing this savvy info! It looks like you have it all down pat:-) Blessings to you, my friend!!! I have used this for a few years and I have to say that you need to get the proportions correct. This is 1 measure of listerine , 1 measure of white vinegar and 2 measures of warm water. Make sure that you have enough to cover your feet! You then soak for 15 minutes and use a scrubby or pumice stone to remove the soft dead skin. I personally find just using a rough towel works! Use a foot cream to keep the skin soft. It can take more than one go to remove all the old dead skin but this is a simple, cheap and easy way to have nice feet. Well, all that did was turn my feet blue. Hi Angela! I think if it were marked “compare to Listerine” on the bottle, the ingredients would be basically the same. That should work! a question… Can you use an off brand of they Listerine? Kroger Brand or Walgreen brand?? Hi Iris! The only thing that makes my dead skin peel is Baby Foot. I did a review of it on the blog, along with pictures. Check it out! So I was curious to try this foot soak the one with the vinegar and listerine, just because I had to try it and I’m glad I did although for me I tweaked the recipe. 0. Because my feet was a little rough I used the ped egg power to remove some of the coarseness and buff them. 0. For my recipe I did the following: 1 cup of yellow mouthwash (this was off brand because I wasn’t going to buy listerine) instead of vinegar I did 1 cup of peroxide 1/2 cup of bath salt. Fill basin up with warm to hot water. 0. I soak my feet for about 30-45 minutes. So usually while I’m playing the game or watching TV. 0. Once I’m done I wipe and dry my feet. 0. Afterwards when they are dry and if I’m going to bed. I put feet repair cream on them so either Avon foot works or burts bee feet cream. In a pinch I would recommend cocoa butter. Then put on the socks leave them on for the night. This leaves your feet looking and feeling smooth. 0. When it’s not close to bed time I dry my feet off and let them breathe. They look, smell, and feel amazing. I do this three times a week and my feet look and feel amazing. Hi Everyone, Has anyone attempted this on the full body? Taking it to the scale of a bath? Hi Robert! I sent your question to Dr. Jo. Her answer is below!! Firstly , if the fungus had not killed you yet it probably won’t but it can cause cracks in skin and make you more prone to other infections. I don’t think vinegar and water will kill fungus but listerine might help keep it at bay. Use yellow as blue might turn your feet blue. Some lotrimin cream twice a day and some antifungal spray in shoes might help too . Spray in shoes after removing and wear different pair next day, alternate . Hope that helps . Hi Julien, thanks so much for sharing your technique! I am glad it worked for you!!!! Blessings, my friend!!! I tried this soak but this is how I did mine. I mixed equal parts of the green minty off label mouthwash and white vinegar. In my case 2 cups each. I then added a teaspoon of tea tree oil and a cup of sugar. A little not of hot water so the mixture wasn’t cold. I then soaked my feet in just that using the sugar as a scrub on the bottom for about 10 minutes. Next I added enough hot water to cover the tips of my feet. I soaked for an additional 30 mine. (Had I had more hot water handy I would have added more and done and additional 30.) Next I rinsed my feet and the dead skin did turn a green shade! Scrub brush and pumice stone and my feet feel cool, tingly, refreshed and smooth! Hi Kathy! I appreciate your feedback! I did it again last week and did for half an hour. Felt great afterwards~cool and tingly. Take care!!! I saw this remedy posted quite some time ago but just finally got around to trying it. I normally use a foot file on my heels with each shower but that only helped to a certain point. I didn’t really measure the ingredients for this soak but it was probably pretty close to 1/2 cup of Fresh Burst listerine and 1/2 c vinegar.I also went to the dollar store and bought a kitty litter pan and filled it about 1/4 of the way and added listerine and vinegar. Soaked for about 30 minutes while I had my lunch and read through comments here. Then again used a foot file to remove the dead skin. My feet are tingly fresh and look pretty good. I think it will have to be repeated a few more times but it does help. Smells great too!! Hi Kerrielou, you made some good observations. I would love to crack the code on what formulation best mimics the spa/pool effect. If you find out, please let me know!!! Don’t use the blue one it makes your feet turn blue. Hi Mehreen, the only one I’ve ever used (and the one Dr. Jo writes about) is listerine. You could try the generic version, as it probably has similar ingredients:-) Hope this helps! Can we use some other mouthwash instead of the one you mentioned? So glad you had success with the soak, Brian!!!! TREMENDOUSLY GOOD, AND WORKS, ANY HARD SKIN LEFT CAN BE REMOVED WITH PUMICE STONE………………………………………………………. The foot bath worked for me! Not for callouses, I had stinky feet. OTC foot stuff did nothing for my feet. This did! No matter how many times I scrubbed my feet or OTC stuff I used, didn’t work, I used Listerine Whitening (didn’t want blue feet) , with vinegar and water! LOVE IT! Lisa, I hope the soak helps! My husband thinks that Baby Foot is the best thing ever, and he declares that it heals his athletes feet!!!! Let me hear what works for you!!! Hi Cindy, thanks so much for sharing this! It sounds like a wonderful solution to soften feet. I’m going to try this for myself. Blessings to you! Listerine & Vinegar soak work wonders! Leave feet feeling rejuvenated. Felicia, thanks for that info! I use peroxide for lots of things so may give this solution a try! The Listerine- vinegar mix doesn’t do much by way of exfoliation, but the Listerine-peroxide solution does. Peroxide is a natural debrider , so I use that mix more. Hi Samantha! I am so glad that this gave you some good results! As you said, it isn’t an instant result, but persistence is key. Thanks for sharing with us! I have eczema really bad on my feet, which makes obtaining summer feet that look great in sandals nearly impossible. I exfoliate regularly, but have read about and tried this recipe for the first time today. I made a larger batch of the mixture so that I could soak more area of both feet at once. I was not disappointed! Not only did my feet feel fresh, but they were tingly as well. Further, my skin did not change colors. Once I was done with the soak, I did dry my feet and have a little bit of dead skin come off. Since I have a long way to go to reach my goal of beautiful summer feet, I did not go into this with the expectation of immediate results. I took before and after shots of my feet so as to have a comparison. I do anticipate doing this several times a week, and I am grateful to finding this article. Thank you! I have eczema on my feet really bad, so having summer feet that look great in sandals is something I struggle with. I mixed a larger batch of the mixture than what was given so that I could soak more areas on both of my feet at the same time. This mixture did not disappoint! My skin didn’t turn colors, and they are fresh and tingly. Since I have a lot of skin that needs to slough off (despite exfoliating regularly), I didn’t expect a lot of skin to come off with the first try. I did have some come off when I rubbed my feet with a cloth though, which gave me hope. Given the amount of eczema on my feet, I will have to do this regularly over the next several months to get a better feeling on how successful this treatment will be. I did take a picture of my feet as a sort of before and after shots for comparison. I am beyond happy that I found this recipe to finally obtain summer feet. Thank you! If you have really bad yellow callouses that keep coming back you may have a rare foot disease called pachyonchia congentia (runs in the family). Look that one up. This treatment won’t do much for it. Better to try an alkaline soak with baking soda instead of acidic chemistry. Something that’s alkaline (a base) is the opposite of something that’s acidic. Drain cleaners are Very alkaline and soften or eat up organics. Callouses are organic but Don’t use drain cleaner on them ! I think the reason feet are turning blue, is because it is dying the dead skin. Mine wiped/rubbed off just fine. I, too, had to use a foot file and pumice stone; the skin did not ‘practically fall off’, but it was a nice treat for my feet. I made a huge batch of the recipe to fill my foot bath, soaked for 30 minutes, scraped feet, and soaked again for another 15 minutes. Maybe not as miraculous as advertised, but feels nice anyway. So glad it worked for you, Jodie! Thanks for sharing!!!! It worked for me! I used an exfoliated scrub to wipe off the dead skin. Thank you!!! Hi Tracy, thanks so much for sharing that! I feel very good about the “natural” aspects of this soak. Nothing harsh or chemically based. Thanks for sharing. Blessings to you!!! I found this soak to be the best ever, I use it regularly and see my pedicurist once a month..He is very appreciative of my use of this recipe. I have had callouses since I was a child, very happy with the results. It does not burn or damage skin as so many of the chemically based products do. I give 5 stars. That’s interesting! Thanks for the savvy info, Maggie!!! Just so everyone knows, the reason your feet are probably turning blue from the blue Listerine, it is because vinegar (or salt) is a mordant. A mordant is a substance that sets color when dying wool or other fabrics and I guess is must work on your skin and toe nails too. Just so everyone knows, the reason your feet are probably turning blue from the blue listerine, it is because vineger (or salt) is a mordant. A mordant is a substance that sets color when dying wool or other fabrics and I guess is must work on your skin and toe nails too. Hi Sam, thanks for sharing! I have done this for years upon the advice of an elderly neighbor lady. However I don’t do anywhere near that much water and have never added listerine. I usually do straight apple cider vinegar and my feet stay in while my favorite show is on – so about an hour. :). If needed I scrub with a loofah however usually dead skin floats to the top & makes vinegar cloudy. Hi Evelyn! The last one that I purchased was at Sally Beauty Supply, but I can’t recall which brand it was. Any good one should do the trick!!! Oh my; I have heard the same from several readers! Fortunately, the color fades quickly:-) Thanks for letting us know! I suffered the same fate as Samm McCaslin. I used blue listerine and my feet turned blue and I had to scrub like crazy to get it to go away. Unfortunately, it didn’t all come off and today I’m in ballet flats. Lesson learned: Google any home remedies before you try it! ,Yeaâ€¦ makes feet feel softer, but doesnâ€™t actually â€œwipe right offâ€. When “sandals” season arrive I routinely after a good peel or pedicure I am doing very good using Baiden Mitten after shower all summer. It use just water and no time. Hi Samm, you aren’t the first to report green feet from the soak~LOL! At least your step-brother got a good laught, and it will go away:-) Blessings to you! This worked very well for making my feet feel smooth and soft but dead skin did not just wipe off. A con to this, along with the dead skin not wiping off, is that this turned my feet green. Yup, the dye from the listerine and using the vinegars help, this turned my feet green. I wish I could upload a photo and show you all this hilarious sight. My step-brother was laughing on the floor at my feet for ten minutes. Thanks for the extra savvy tips, Robina!! Blessings to you!!! The foot soak DOES work for loosening, softening and removing dead, hard, calloused skin. You need 3 additional things: much more of the vinegar & Listerine for the bottom of your feet to be immersed, 20-30 minutes of patience while your feet soak, and a pumice stone (or tool of choice) to slough while your feet are wet. Finish with some form of moisturizer (Vaseline will suffice) and your feet will almost be like velvet. My CRUSTY feet are the running joke in my household, and an eyesore too. Very happy to have a remedy that easily removes the mortified layers! I tried it,the dead skin doesn’t just wipe off, I used an old paring knife (at the $$$ store). Scrape it,rinse,&lotion up. Wallah!. To the woman who kept adding water b/c water got cold,it dilutes the formula,add other ingredients.. It really works. I’ve heard of this remedy before, but it was for people who have hot flashes or hot feet at night. Use cold water instead, and the vinegar listerine combo draws the heat out of your feet so you can get back to sleep. So glad you found something that works for you!!! Don’t you love soft feet?? Blessings!!! The formula helped soften the hard stuff on my skin enough to easily remove it with a pumice stick. My feet was like walking on cracked glass before. To keep them soft over night, I use Gold Bond foot cream and put plastic grocery bags over my feet held on with socks. The feet are really moist the next morning which means sweat, but thank goodness the foot cream has a deodorizer element contained. I filtered my Listerine mix back in a jug using a nylon net so to reuse a few times more and save money. Hoping it will keep my feet from returning to a dried out state so quickly during the work day. Connie, thanks for sharing this! So glad you found something that worked for you!!!! I had a stubborn case of athlete’s foot for years…despite several doctor visits and all kinds of prescriptions, it never went away. Finally I soaked my feet in apple cider vinegar and it got rid of my athlete’s foot 100%. 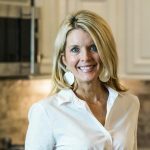 I couldn’t believe the amount of time, money and itching I had gone through and resolved with this simple solution. I agree with you; a bit of effort is required to make this (or anything) work to transform feet from rough to smooth. Thanks so much for sharing!!! Based on the varied responses, I’ve concluded that although we all have feet, all of our feet are not equal, thus respond differently to the soak. Thankfully, I had a positive response. My feet looked and felt better after the soak. I have very hard, dry feet due to poor foot circulation; so, I still had to put forth some muscle along with the soak to help get softer, cleaner feet. However, not as much as I would have needed had I not used the soak. 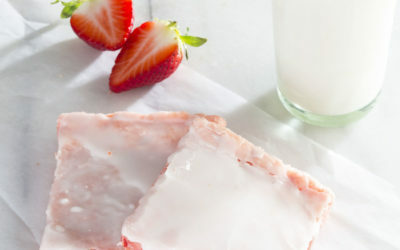 Thus, this recipe is a winner for me—so refreshing and “feet friendly”!!! Can’t wait to try it on my husband. Thanks for the share!! Thanks for sharing this, Chelle. I LOVE coconut oil (use it on my hair); may give it a try for feet!!! Use 1-cup regular or generic brand mouth wash,(I used a generic light brownish color, Walmart brand), and 1-cup vinegar, 2-cups hot water, and few drops of peppermint essential oil, 2 drops of dish soap, and handful of Epson salt, let feet soak for a good while, (watch a movie) then dry off feet with rough towel……. my water was left gross from all the dead skin that came off, and the towel had to be shook to remove dead skin, I then moisturized feet with coconut oil every night … have never had dry or smelly feet since then… not sure if was the soak or coconut oil? but it worked! Wow….what a treat for your husband after such a long hospital stay! Glad he enjoyed it, and hope he recovers quickly!!! Thanks for that tip, Mike. It makes sense that a concentrated solution would be stronger. Better than to add hot water is to decant the mixture into a small plastic bowl and microwave on full for two minutes thus maintaining the strength of the mixture. Thanks for sharing your experience, Matt. Sounds like you have found it worthwhile. Glad to hear! After much debate I decided to try this for myself. I just bought new Nikes and they were causing my feet to hurt where I had some callouses built up on the sides of my feet and I have a stubborn corn that develops on my big toe that I had been cutting off with a pedicure knife. I found after 10-15 minutes I could remove the callouses pretty easily and the corn on my toe basically fell off. It might not be “wipe the dead skin off with ease” but it did a better job than I have been able to do in the past. I’m a man and we tend to not do a lot of foot care but I will be using this method again as needed. It worked just fine and I don’t have blue feet or toe nails from the listerine. I’d rate it a 3 out of 5. I’m actually not sure! If you try it and have success, let us hear back!! Thank you! Will this soak also help toe nail fungus? How many times can you use the same listerine and vineger soke? Or do you have to replace the solution everytime time you do the treatment? I use vinegar and Listerine with no water; huge difference. Don’t waste your Listerine and time on this.Does absolutely nothing. I didn’t get any benefits except that it felt refreshing and nice because of the Listerine. I was very disappoiinted – thinking this could be my feet drama solution! Oh well…..
I’ve seen the FB thing go around a few times and read some stuff like this about people’s feet turning blue and etc but decided I’d try a variation using what I had in the house. Which ended up being 2 cups of Listerine Total Care plus Whitening (the stuff with the really intense hydrogen peroxide formula) and 2 cups white vinegar. I soaked my feet for about 30 minutes and then used a pumice stone before getting in a shower. It worked well for me.. usually I use the pumice stone after sitting in a 98 F therapy pool for an hour. The 30 minute Listerine soak by comparison seemed to help remove a lot more dead skin and now my feet feel like I have a peppermint patty in my socks. :) I’ll definitely be doing this again. I wonder.. couldn’t you keep it clean and save and re-use the solution at least a time or two to save $? Any thoughts? I love Boots Botanicals and have actually seen the one that has “marshmallow extract” added! Glad to know it works for you!!! So glad it worked for you!Thanks for sharing! just did it and it worked great. when i was done soaking (about 20 minutes) i used a wash cloth to dry and rub my feet and the dead skin came right off and my feet are really soft. Thanks for sharing, Sheree! I’ll bet the scrubber will make a huge difference. I just tried it. It got some of the dry skin off. Next time I will use a foot scrubber to get the rest off. I used regular Listerine. If only I had a war beach with sand nearby! :) Totally jealous!! Hi Kata! According to Dr. Jo, no. 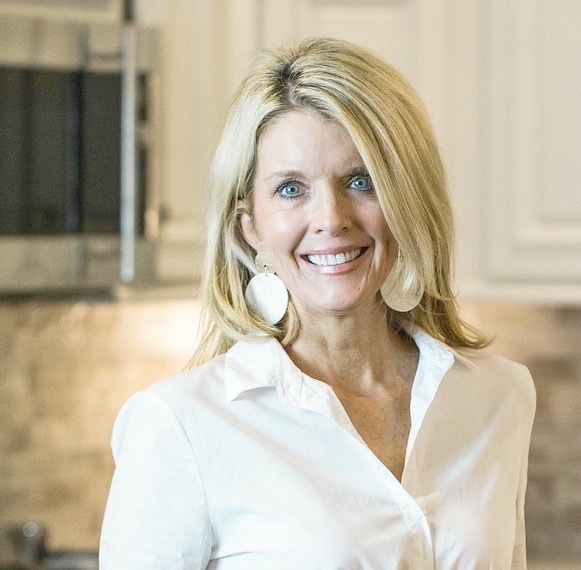 Stay tuned for her next blog post, as she will answer your question in more detail. Great question, by the way! Nancy, thanks so much for sharing your experience! I am so glad that it worked for you; perhaps the long soak was helpful. Blessings to you!!! Yes it does work. My skin was ruined after chemotherapy. My feet were basically like rawhide that was a quarter-inch thick with cracks all the way to the meat. I soaked for way longer, about 45 minutes or more and it did work. I could rub a thick layer off with just my fingers. I am going to do it again tonight. It helps with your toenails also. So glad to hear that it worked for you, Jillian! Thanks for sharing your experience. The listerine vinegar bath actually really worked for me! I take really good care of my feet, but the heat in LA this summer left my feet feeling hard and dry. I tried all sorts of soaks and dead skin removers that only removed thin layers. Ten minutes in this bath and a scrape with my metal cuticle pusher revealed skin smoother than I can ever remember. Danielle; I’m glad this works for you! As you mentioned, I think a pumice or foot file of some sort is one of the keys to making this work. Thanks for sharing!!! I tried this tonight, and while the dead skin didn’t whipe off, it did soften and with a pumice came off really easily. I am really happy with the results. My feet are much softer. Someone in the thread mentioned that they are doing it 3x a week and not getting much out of it. Seems like overkill to me! No, the vinegar and listening bath on its own wouldn’t do a whole lot, but it softened my skin more than just soap and warm water, making the pumice more effective. I’m an athlete, so I had some dry skin from over worked feet. Hope this is helpful!! Of course it wouldn’t work if you kept diluting it! Crystal, thanks for sharing your experience! And I think you are correct~it is definitely worth a try! This worked absolutely fantastic for my husband and the dead skin DID “wipe right off.” I do recommend this for people to try, but I have heard it doesn’t work for everyone. Why not give it a try. That makes sense to use colored listerine to “see the dead skin” that comes off! Glad it helped; thanks for sharing!!!! No the skin won’t rub off but the dead skin is green or blue. I use my little foot grater like tool to get the softened skin off. It comes off much easier and you can see what to scrub off. I don’t use water in mine. Hi Graciela! I don’t know of anything, but since vinegar is so inexpensive and so readily available, why don’t you pick some up and give this a try? Let me know how it works for you! I dont have any Vinegar, but would there be anything else I can use to substitute as vinegar? Work very well remove a lot of dead skin on the first time. Left my feet feeling clean sort and fresh and cool rested.thanks for info. Glad you liked it, Amanda! I would use the original amber Listerine because I used the blue one & it painted my feet and nails a tinge of blue. The blue on my feet washed off with a good scrubbing, but the one on my nails was absorbed in and lasted a couple of days. I soaked for about 50 minutes, though. I also, omitted the water as other pages suggested just the 50/50 vinegar/Listerine combo. My girlfriend said I should try this for my feet, and I thought I was one of the only guys that would actually try it. But apparently there’s others who do it, and it works wonders for them. Good to know. With all the insight to cleanliness in Spas. Especially those who have bath tubes (Dr. Oz). Yes, my feet are smooth! I soaked my foot longer while reading a chapter. I used two bowls one for each foot, half vinegar and half Cool Listerine. I did not use water….was missing this website. However, the next time I think I will use sugar at the end to rub my feet and to play. My toes are blue. Could the long soak be intoxicating? How about simply walking at the beach, near the water. The moist beach sand has always been an excellent exfoliator for this “old salt”. Ever since I went to basic training 8 years ago I’ve struggled with soft feet! My son’s father has the softest feet and mine were all rough! Totally backwards!!!! LMBO he always picks on me! Sounds like you have a real plan for soft feet! Aloe infused socks? I need to try those! I JUST did this and it was amazing!!! I just put some Gold Bond foot cream on and then my aloe infused socks but I HOPE once I take them off it will still be awesome!!!! That’s a thought, Jodie! :-) Dr. Herzog did suggest leaving Baby Foot on for two hours rather than one, especially for those with tough, dry skin. I understand the time factor. I try to do it when we have family movie night. My feet look funny, but I kill two birds with one stone! Maybe if you soaked your feet for two hours like you have to do with the Baby feet remedy, the skin might peel off. Wish I had the time to try either one! Same here and I got blue feet from the blue listerine LOL! For those with a lot of dead skin, increase the amount if it’s not working for you. A pumice makes it come off quicker than just wiping. I love my hubby but would just NEVER scrub his feet………………heaving at the very thought of it !!! The Vinegar, Original Listerine with a teaspoon of peroxide was an excellent foot soak for my 83 year old Mom…She was quite impressed!! Tried it works great . Will not be going to the shop any more . Saving me lots of money . Shop never got all the dead skin off this stuff gets it all off . Maybe by using the original amounts of ingredients, it covers only the bottom of your feet and therefore no colour transfer to worry about? I’m glad I’m not the only guy that tried this. I just did as well after a friend recommended it on Facebook. I did 3 cups Listerine, 3 cups Apple Cider vinegar (great for so many things), and 6 cups of water (I got big feet). Soaked for 20 mins used the knife as well. Soaked for another 20 mins used knife again. And then took a shower. My feet feel and look great. The instructions do NOT say to not use the blue Listerine. In fact, the writer very clearly says he/she prefers it. Its nice to have a guy’s opinion on it! 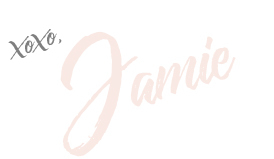 Jamie, I think the pumice stone must be key in making this work. I tried it again with a triple concentration of both ingredients, just a tad of water, and a good pre-soak dry exfoliation. Feet felt and looked much better! I’ve done this and so has my husband. I absolutely loved it and it worked very well for me. Hubby’s feet were much worse (he wears men’s dress shoes all day and our hot weather is bad for him) and it worked ok for him but he really needed to repeat it a few more times. I did use a little more to make a deeper basin for the soak. It doesn’t make the skin just wipe right off but a quick scrub with a pumice stone made a remarkable difference; more than just a warm water soak with any other foot treatment I’ve tried so far, even the really expensive ones! This is exactly what happened with my feet, most of the coloring went away after a good scrub with a brush except for my heels where the dry skin absorbed the color and my toe nails which absorbed the color making them look horrible. STEER CLEAR FROM THIS METHOD!! We too found the recipe on facebook awhile back that we tried out on our feet, but it did not ‘practically wipe off;(.. Instead we noticed the whole house smelled ‘fresh’ afterwards, so when the boys came home from a mountain trip with their shoes stinking like …… we tried it out on the hiking boots. Mix 1/4c Listerine (any kind but I like the blue), 1/4c vinegar and 1/2c of warm water. Soak shoes for ca 10 min. Turned my feet blue? Could it be because I’m pregnant? I tried this with white vinegar and regular Listerine, tripling the recipe. I did see the water get cloudy with dead skin, but it wasn’t as much of a miracle for me as for others. I have diabetes and my heels occasionally need work. I soaked in a foot tub for 25 minutes, and uses a pumice after. They feel better and look ok, but not really beach ready. I felt the water wasn’t necessary, but didn’t want to ruin the recipe. Next time I may try omitting the water altogether. It seems like I could get the same result with Epsom salt though. perhaps a guy shouldnt be commenting here but what the heck – I used LISTERINE ORIGINAL (500ml) and 500ml of Distilled Malt Vinegar – put both full bottles into a tub and soaked my feet, after ten minutes I ran the non-sharp edge of a knife across the sole of my foot – I was amazed! it really was – perhaps not wiping – but scraping off so easily … (I need to care for my feet as a diabetic) … so glad I found this recipe. I just had a pedicure. A few weeks ago and I felt my feet could of been better. My feet are dry and gross to my liking. However, I did soak my feet in warm water for 5 mins and the added white vingear and original listerine. I then used my stone I bought from Sally’s to get the dead skin. It worked sooooo well. I’m done with getting a pedi. It works a treat and yes the dry calloused skin rubs off, i used 1000mls of foot bearing hot water, 50mls of malt vinegar and 50mls of listerine and sat for 20 mins which was very difficult for me. But the results are amazing, i soak my feet every day now. I tried this thinking it would work. The only thing it did was leave my feet a greenish/blue color. There was a few pieces of skin left in the container I was soaking my feet in. I suggest not trying this unless you want to have greenish/blue feet. maybe a different color of Listerine would work just as good as the blue mint but without letting your feet stained. It worked pretty well for me! I used Scope… didn’t have any Listerine. Will definitely do it maybe one or two more times to get them in good shape and then probably once a week for maintenance. Burns the crap out of any cracks you may have in your heels. I’ll let you know how it pans out. pedi foot file. I also tripled the recipe. Oh, at first I used one large bottle of Listerine/blue and one large bottle of apple cider vinegar. Put it in a large plastic bowl and used it for one week and made new for my weekly soak. I do not scrape off my feet into the mixture, I used a old hand towel to wipe my feet which was like rubbing off the old dry skin. Solution lasted well for the week, and I had no problem with the blue listerine changing the color of my feet. I used the listerine and vinegar and no water, I soaked my feet for 20 minutes for a week and now once or twice a week.thereafter…amazing. I had very dry feet even after a pedicure every two weeks. But, now smooth and soft…it really works!!! What type of vinegar are you using (white, apple cider, etc.)? I tried this today. I have horrible rough, scales and cracked heals. I had to triple the products but it work wonderful. Like everyone else is commenting the dry calluses did not just wipe off. But I used one of those cheap (dollar store) things that looks like a spice/cheese grater. It usually takes me about three days in a row to get my feet presentable and soft. But with this it took me ONLY one application with the scrubbing. But it also ONLY took me about 30 minutes total and only one sitting of scrubbing. Usually my arms get too tired and I have to repeat a few days. BUT with this (soaking 15 minutes I was done faster then ever. and I was not sore and did not get cramps in my hands and Arms and no sore back. ( I am disabled with a slipped disc in my back and Fibromyalgia.) I was so excited I told all my friends about it and I will NOW be doing this weekly to keep my feet baby soft. BUT I did rinse my feet and ended with a scrub with a pedicure brush it removed the green/blue tint that my feet had gotten from the blue mouth wash. I also used a store brand With alcohol, Just like Listerine. As I said before this will now be a weekly routine for me and I swear I will never have horrible cracked dry sore feet again. I will recommend this to everyone I know. Plus its much cheaper then a commercial pedicure. How do you soak boathouse feet in only 1 1/2 cup of liquid? That doesn’t sound like it would me enough. I tried this (doubling the amounts of mouthwash and vinegar) and put it in my electric footbath. I soaked my feet for quite a bit longer than the 10 minutes suggested and when I took my feet out and dried them off, there was all sorts of dead skin floating in the water. Will definitely do it again. The blue Listerine turned my feet blue! So glad that it worked for y’all, Sandra! I tried this, 1/2 cup listerine, 1/2 cup vinegar, 1 cup water. Worked like an absolute charm. I scratched my feet after about 10 minutes and the dead skin came right off. My feet feel fantastic!!! Soft and smooth. I’m going to do this once a week!!! I tried this and I love it. I had a long hot day on my feet and they were sore, tired and itchy. Afterward they felt fresh and cool and tingly. And it definitely helped with the dead skin. I used a loofah and seemed to scrape off a lot more dead skin than after a regular bath. It worked like a charm for me. I used a different concentration. 1cup of vinegar and listerine and 1/2 cup warm water. I’ve done this 3 times a week and although the dead skin doesn’t just wipe off as it states above its a whole lot softer and smoother than before. Yea… makes feet feel softer, but doesn’t actually “wipe right off”. I have using a pumice stone to try and get the dead skin off… yea still not working real well.